"an industry-wide regulator would be able to reduce fears about corner-cutting and give assurances to the public that the sector is delivering safe buildings"
On 19 March 2019 at a Westminster Social Policy Forum event on building regulation reform ACAI Chairman Paul Wilkins called for more oversight of high rise inspections following the fire at Grenfell Tower. Private inspectors are currently held to account by CICAIR, an arms-length government regulator, which oversees private building control. However, local authorities are not currently regulated by this register. Instead, ‘controlled competition’ would introduce a separate register of local authority AND private inspectors included on the same register equipped to deal with high-risk residential buildings. This could be extended to other building types as necessary. 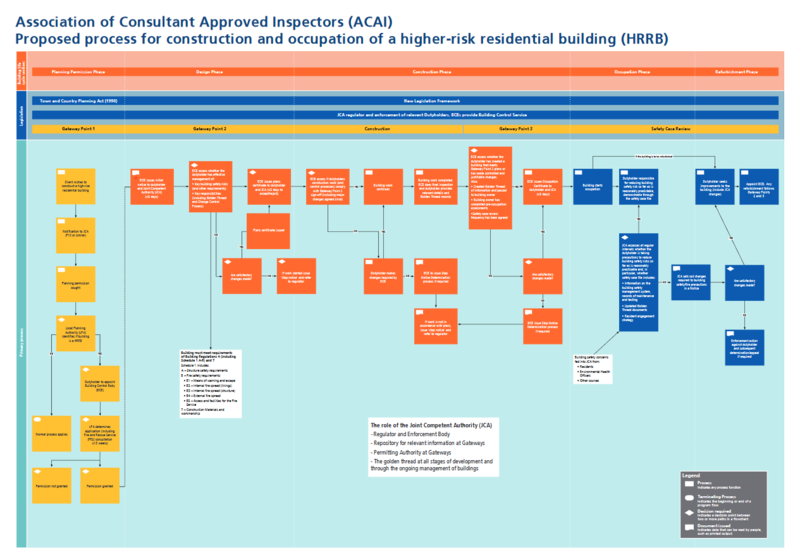 It could also tackle perceived conflicts of interest identified by the Hackitt Review across the industry by applying mandatory, minimum standards on building inspections. ICM's Director of Education and Training David Jones entirely supports a system of building control and Building Regulatory compliance enforcement based upon competent ability of the Inspectors and their employing organisations, - certainly not based upon what particular membership group they belong to dependent upon whether they are local government officers or employed by a private organisation!